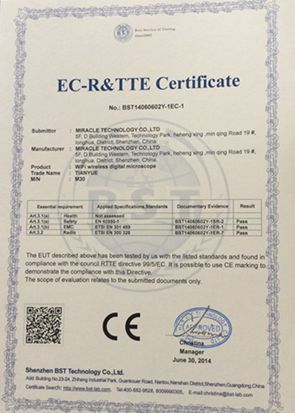 Company Overview - Shenzhen Miracle Technology Co., Ltd.
3YRSShenzhen Miracle Technology Co., Ltd. Miracle Technology has its own strong Research and Development ability. We warmly welcome customers to cooperate with us to develop new products. Customers need only give us an idea, then we will do the rest including cosmetic, structure, electronics circuit design etc. We will present you working sample based on mock up before going to tooling. With the working sample, you can get market feedback by demonstrating it to your end users. If the sample gets good feeback, we will then further to tooling and mass production.Currently the main research and development, production of digital microscopes, endoscopes, electronic magnifiers, products are exported to Europe, America and Southeast Asia.Just give us an idea, and we will do the rest for you. All are based on exclusivity term!